There is no better way to see the Vatican than with one of our English speaking professional private tour guides who will uncloak the Vatican on this 3 hour private walking tour. Relax, move at your own pace and let us pamper you through the largest collection in the world. With around 5 million visitors to the Vatican Museums in one year the Vatican can get quite busy. Don't get stuck behind other groups, pause when you want to, and most importantly, have the full attention of the guide. The Vatican City : The Vatican Museums, Sistine Chapel, Pigna Courtyard, Octagonal Courtyard, Round Room, Gallery of the Candelabra, Greek and Roman Statuary Collection, Gallery of the Tapestries, Gallery of the Maps, Old Papal Apartments, Rooms of Raphael, St Peter's Basilica. 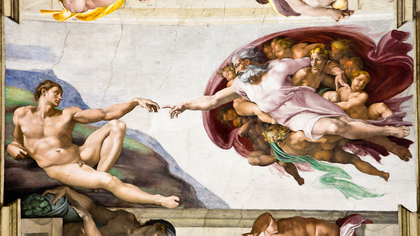 Our Private tours of the Vatican cover all of the must sees of the Vatican including the Vatican Museums, Sistine Chapel, St. Peter's Basilica and much more. 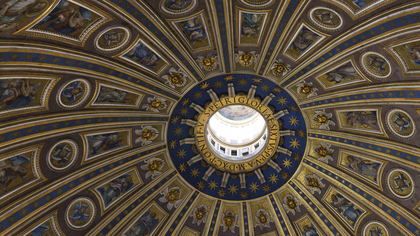 Roman Candle Tours was a pioneer in Vatican tourism. 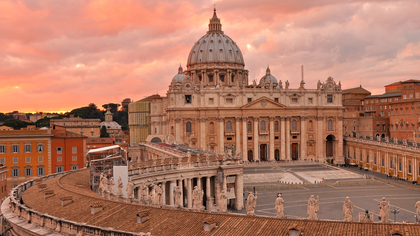 From the beginning, we only offered tours of the Vatican City and the city of Rome. The Vatican has been like a second home to us and our English speaking guides know everything there is to know ensuring that your visit to the Vatican is a special experience. Get the full experience with our in depth tour. This 5 hour private Vatican walking tour is designed for those who want to know all there is to know about the many different areas of the Vatican City. With over 2000 years of history, faith, art and architecture to discover, there is much to see on this private guided tour through the Vatican. Experience all that this magical place has to offer on this 5 hour walking tour.